Meylin Maldonado is a professional committed to creating a rewarding experience for her clients. She has an ability to seamlessly guide them through the sale or purchase process, offering top-notch service and providing the information needed to make the right decisions. Born and raised in New York, Meylin knows the city - from Greenwich Village to the Upper West Side, Brooklyn and Queens - thanks to her father’s work as a residential building manager. This upbringing gave her a unique insight into the inner workings of city apartment buildings and townhouses. Meylin’s love of numbers led to a career in accounting. She built a successful consultancy and now brings over 10 years experience in strategic financial planning and project management for businesses ranging from interior design and architecture to jewelry. She earned a referral-based clientele with her passion for achieving both their business and personal goals. She is now applying these skills and experience to helping her buyers and sellers navigate the ever-evolving market. Meylin attended the LaGuardia High School of Music & Art and later signed to Atlantic Records. She still enjoys performing, writing music and traveling the world. 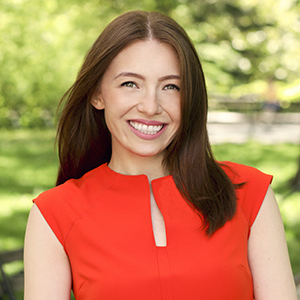 Meylin currently serves as a member of the Real Estate Board of New York Queens Committee.